Prof. Chunming Rong is head of the Center for IP-based Service Innovation (CIPSI) at the University of Stavanger (UiS) in Norway. The CIPSI has the mission to promote cross-fertilization between several research fields to facilitate design and delivery of large-scale and complex IP-based services required by many application areas. He is also visiting chair professor at Tsinghua University and served also as an adjunct professor at the University of Oslo 2005-2009. He spent one sabbatical year as visiting professor at the Stanford University 2009-2010. His research interests include cloud computing, big data analysis, security and privacy. 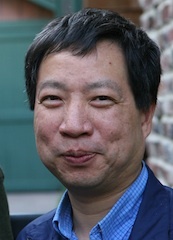 He is co-founder and chairman of the Cloud Computing Association (CloudCom.org) and its associated conference and workshop series. He is member of the IEEE Study Group on Cloud Standard and co-chairs the IEEE Technical Area of Cloud Computing, in TCSC (Technical Committee on Scalable Computing). He is the co-Editors-in-Chief of the Journal of Cloud Computing by Springer. He received award Editor's Choice in Discrete Mathematics in 1999. He coauthored a book titled "Security in Wireless Ad Hoc and Sensor Networks" published by John Wiley and Sons in 2009. Prof. Rong has extensive experience in managing research and development projects funded by both industry and funding agencies, such as the Norwegian Research Council and the EU Framework Programs.